AMPLIA CASA DE MATERIAL CON DEPTO LINDERO A 1/2 CUADRA AVDA.H.YRIGOYEN U A 4 CUADRAS DE LA ESTACIÓN. UBICACIÓN: PATRIA N° 416 ENTRE AVDA.H.YRIGOYEN Y TRABAJO. CONSTA DE: CASA PRINCIPAL CON 2 DORMITORIOS, LIVINGN-COMEDOR, COMEDOR DIARIO, HALL, COCINA Y BAÑO. 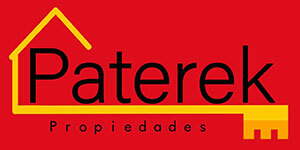 DEPTO LINDERO CON 1 DORMITORIO, LIVINGN, COCINA Y BAÑO. ENTRADA DE VEHÍCULO Y PATIO LIBRE. AMPLIO LOCAL COMERCIAL A 3 CUADRAS DE LA ESTACIÓN. G. MENDEZ Nº 365 ENTRE B. ROLDÁN Y R. GUTIERREZ.